Type your message and qlink it! © Qlink.it - 2015-2017 All rights reserved. No system or algorithm -not even quantum cryptography- is 100% secure since every implementation of a system has potential failures. However, different systems and implementations have their corresponding pros and cons. Our goal is that you can keep a confidential conversation with a high level of security while keeping the system extremely simple for your convenience. 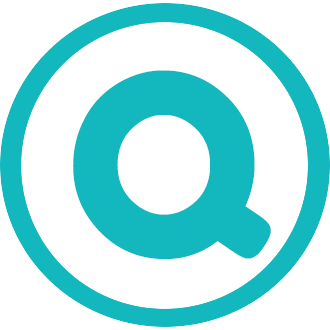 Qlink.it is designed for the common user who wants to increase his/her level of security and confidentiality in comparison to usual messaging systems. Notice that Qlink.it could not be the best option in extreme situations. While your communications are encrypted and not known your identity, your location can still be traced since Qlink.it does not mask your IP address. You may use TOR in addition to avoid this. Your messages are encrypted as they go through the wire, but that doesn't mean that your keyboard is necessarily secure. Qlink.it does not protect against hardware or software key loggers which might be snooping on your keyboard strokes and sending them to an undesired third party. Qlink.it endeavors in order to ensure that only the recipient can read the qlinkit message. Still, it is still possible that third parties outside Qlink.it have access to your messages without your knowledge. You should trust Qlink.it as a total secure message system, please read the advanced FAQ for more details. No internet access ... you want to retry? The security and encryption algorithms required by Qlink.it are not supported in your current browser. Please upgrade to the latest version of these browsers.